Gemstoneuniverse is proud to present 3 new lots of Jyotish Quality Emeralds for its distinguished patrons. Each of these emeralds has gone through careful sorting to bring you best in value and Jyotish Results. Among all 9 planetary gemstones the Emerald is the most difficult to select. 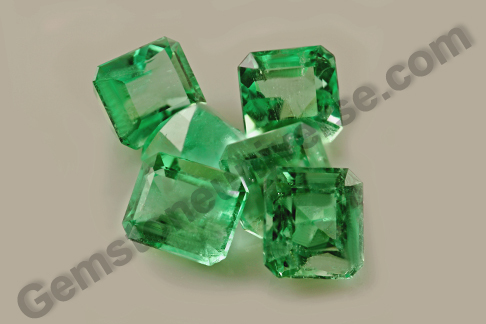 We shall delight you with these natural emeralds from our own roughs. 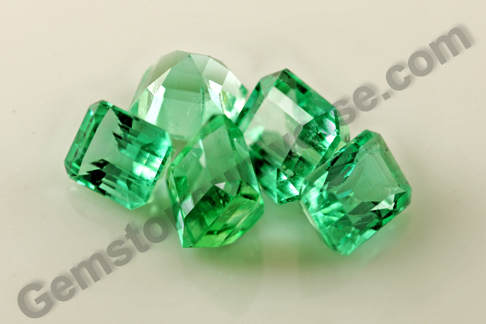 The emerald as a gemstone tends to have more number of inclusions. It is singularly because of the fact that it does not grow in pockets, in isolation trapped away forming clear crystals. Instead because of its chemical composition and because of the rock where it grows in, presence of other minerals abounds and the chances of the crystals growing together or trapping of another element within its crystal structure is highly likely. The following resources should be accessed to have more information before your decide to have your Emerald. What is a Jyotish Quality Emerald-The Sacred Science of Color Shades, Flaws and effects-The Insider Advantage! Aptly named After the 3 Roman Gods Venus, Juno and Vesta these wondrous miracles of nature are bundles of Mercury energies- pristine Jyotish Quality and shall deliver the best results to their owners. Certification and appraisal of these lots are complete and you shall have them on the online Gemstoneuniverse Emerald Inventory by next week. Lot 1: Lot Name Venus. What you see is” The Emerald”- The Epitome of a True Jyotish Emerald. A True Jyotish Gem-Have you experienced it yet! Witness Affordable luxury with rare Natural Emeralds! Earth Mined Colombian Emeralds from the Chivor Mine. Pleasing late summer grass green color. Symmetric Octagonal Cut for Maximum reflection of light. Fantastic Jyotish Weight to bring about the desired results! 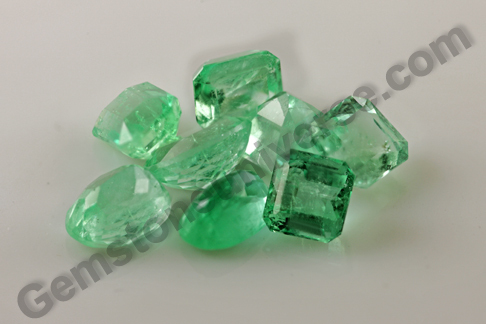 Clarity ranging from85% to 90% which is again rare in Natural emeralds! 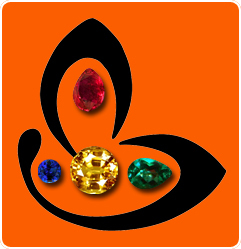 Harness the power of a true jyotish Gemstone. And we shall ensure that it reaches those who need it the most. Fantastic 85% and above clarity! An Awesome weight for Jyotish results! Please early summer grass green color. It’s a golden chance to own a real earth mined Colombian emerald.